Krishan Middha, whose father's demise in August had necessitated the bypoll, had recently joined the saffron party. He was the frontrunner to contest as the BJP candidate from this constituency. Chandigarh: The BJP on Wednesday announced Krishan Middha, the son of late Indian National Lok Dal (INLD) MLA Hari Chand Middha, as the party’s candidate for the Jind bypoll to be held on January 28. Krishan Middha, whose father’s demise in August had necessitated the bypoll, had recently joined the saffron party. He was the frontrunner to contest as the BJP candidate from this constituency. 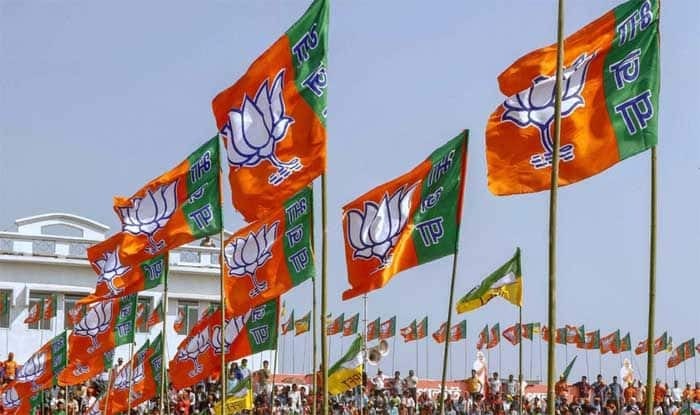 “After discussion and taking various factors into account, the BJP’s Central Election Committee has decided that Krishan Middha, the son of late Hari Chand Middha, will be the party’s candidate for the Jind bypoll,” Haryana BJP president Subhash Barala told reporters here. The Election Commission had on December 31 announced that the bypoll to the Jind assembly seat would be held on January 28 and the results will be out on January 31. The filing of nominations began on January 3 and January 10 is the last date to file papers by the candidates for the bypoll. The BJP became the first among prominent parties to announce the name of its candidate. Other contesting parties, including the Congress, the INLD and fledgling outfit Jannayak Janata Party are likely to announce the names of their candidates later today. The bypoll to the Jind assembly seat, which is considered as the political heartland of Haryana, will prove to be a litmus test for various parties, including the ruling BJP, the Congress and the INLD. The win from Jind is going to be crucial for the contesting parties, with Lok Sabha polls not far away and the state assembly polls also scheduled for the later part of 2019. While the BJP will be eyeing a win from Jind to consolidate its position ahead of the state assembly polls, the opposition Congress, which has been attacking the Khattar government over its alleged failure on all fronts, will also look to grab a victory.